Studies show that consumers are exposed to 10,000 ads each day. With so much competition for your attention, marketers are forced to get creative. Whether it's a viral stunt on social media, or the implementation of augmented reality, brands today are finding new ways to stand out from the pack. Learn what KFC did in this week's Inbound Marketing highlights. From the launch of their "fried chicken bath-bombs," to Virtual Reality training for their employees, KFC has been making waves in the media lately. Twitter user, Mike Edgette, brought the food-chain national attention last month when he discovered their account was only following eleven people: 5 Spice Girls and 6 'guys named Herb.' This was humorously alluding to the "11 Herbs and Spices" in their secret chicken recipe. Edgette was publicly thanked by KFC for noticing the pun and for making their twitter account go viral. As a reward, Colonel Sanders mailed him a customized painting, letter, and 52 KFC gift cards. However, recent controversy ensued when internet users realized Edgette is a Social Media Manager at a PR agency. 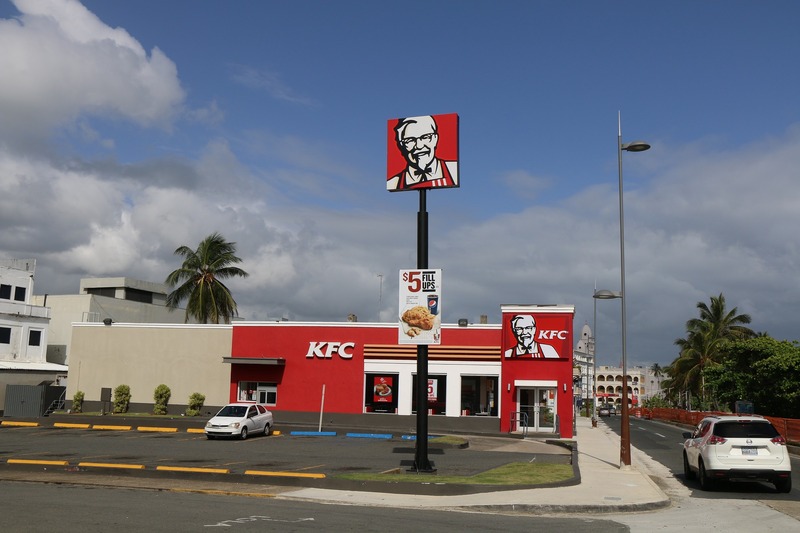 Some believe this agency is working for KFC and that this 'discovery' by Edgette was premeditated. Edgette however denies these claims. Read more about this strange story here. It's a common problem for designers, marketing professionals, and font enthusiasts alike: seeing a font you love but not knowing what it's called. With this smartphone app, you now have the ability to identify over 100,000 fonts, simply by using your camera. Originally launched in 2009, 'What The Font' has been updated to identify fonts in any picture you take or upload through the use of a deep learning algorithm. Finding your dream font is now easier than ever with this app, free and available on both Android and iOS. SEO tactics may help visitors find your website, but can be counterintuitive if your user-experience is failing. Many websites are taking advantage of internal links, photos, and CTAs to give their websites a boost. But are some websites taking SEO too far? This frustrated writer voices his concern with modern-day cooking blogs. In the article, he relays his journey to find a dinner recipe after a long day of work. This task however, proved to be difficult when he was bombarded by a million links, advertisements, and other extreme SEO efforts. Is he right? Are cooking blogs and other websites taking SEO measures too far? Read the article to hear his strong (and comedic) case as to why user experience should go hand-in-hand with optimization. Augmented Reality (AR) has been a huge buzzword in today's marketing. So what exactly is it and what does it bring to brands? AR is a live view of a real-world environment whose elements are "augmented" by computer-generated sound, video, graphics, or data. Unlike Virtual Reality, no bulky headset is necessary, normally just an app. It brings product visualization along with the ability to share user-generated content. The idea is that content generated by "friends and family" will grab your attention more than content which is obviously being pushed by a brand. An example would be snapping a selfie with a 3D image of a movie character and then being able to instantly share it. Similarly, promoted filters on Snapchat are an example of AR. On the other end of the spectrum, AR can be used to see virtual furniture in your home through the Ikea app. This proves that AR is not just fun, but it can also bring real results when it comes to sales. Seeing furniture in context and 3D has increased Ikea's conversion rate to 11x more! Are all website visitors of equal value to your business? Or is traffic from one source better than another? It's important to answer this question so your business can invest in each source accordingly. As stated in the article, the answer is different for everybody. When evaluating your traffic, you need to look at conversion rates, time spent on the page, which visitors are repeats, as well as a few other factors Read this article for more insight on your website traffic and how to boost your conversions. That's this week in Inbound Marketing, stop by next Sunday!